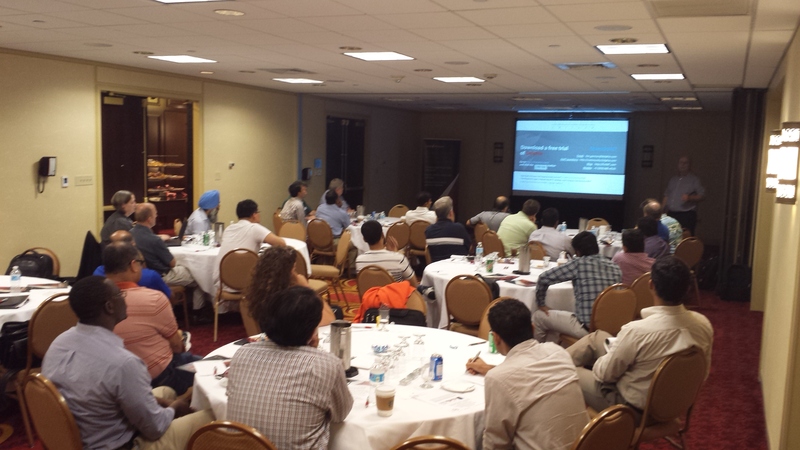 Chicago Oracle Users Group Meeting September 17th 2015 – Recap - "Hey Alfredo..."
We had another great user group meeting recently! We had two excellent presentations by well known Oracle Ace Director, Tim Gorman! The first presentation was focused on Accelerating DevOps using Data Virtualization. This was a great presentation and really demonstrated that the next step in virtualization is at the data/storage level. Only with data virtualization can you accelerate the testing/deployment cycle to speed up project times, improve project quality and put a company at a competitive edge. All of this while using less storage than we ever thought was possible but with the ability to provide numerous copies of our production data to developers, testers and the like. The innovative market leader that allows all of this (and more) is Delphix. Also from this first presentation two great books were mentioned and are a highly recommended read. The first, The Goal: A Process of Ongoing Improvement by Eliyahu Goldratt and the second, The Phoenix Project: A Novel about IT, DevOps, and Helping Your Business Win by Gene Kim, Kevin Behr and George Spafford. I have both of these books on my reading list. The second presentation was on RDBMS Forensics Troubleshooting Using ASH. Tim demonstrated the power of ASH (Active Session History) with two real world issues and how using it allowed him to resolve these issues. A really fantastic deep dive talk! We had our first volunteer for COUG’s “Show and Tell” by Harinder Singh on Hugepages in Linux. Harinder did a great job! This topic led into some great discussions with our members in the audience. We have had great feedback on the new Show and Tell program and already have a list of people ready to present for future meetings! Our meeting was sponsored by Delphix and they got us a really nice venue with a great dinner! Thank you Delphix! For our raffle, we had 2 copies of the book “Oracle Database 12c New Features” and 2 copies of the book “Oracle Database 12c Install, Configure & Maintain Like a Professional”. These were kindly given to us from McGraw Hill (thank you!). All three presentations are available for download on the COUG Web Site.